Draft: 2000, Atlanta Braves, 29th rd. David Adam LaRoche...was twice drafted by the Marlins as a pitcher, but did not sign (18th round in '98, 42nd round in '99)...instead, pursued career as a position player...younger brother, Andy (.226 career hitter with 22 home runs and 113 RBI entering 2012), last played in the big leagues for the the Athletics in 2011...the LaRoche brothers were teammates with PIT in 2008 and for a portion of '09...father, Dave, was a 2-time AL All-Star (Indians in '76, Angles in '77) who finished 65-58 with a 3.53 ERA in 647 games/15 starts spanning 14 seasons with CAL, MIN, CHI, CLE and NYY. Batted .207 (89-429) with 12 home runs and 44 RBI in his first season with the White Sox. ... His average was a career low, and his totals in games, hits, homers and RBI were the lowest since 2004 (rookie season). ... Hit .221/.318/.379 with 12 home runs and 37 RBI vs. RHP and .157/.191/.383 with zero homers and seven RBI vs. LHP. ... Appeared in 48 games (44 starts) at first base and recorded a .997 fielding percentage (1 E/378 TC), his highest in a full season since 2009 with Atlanta (.998). ... Batted .238 (38-160) with eight doubles, eight home runs, 20 RBI and a .746 OPS as the first baseman and .186 (49-263) with 13 doubles, four home runs, 21 RBI and a .560 OPS as the designated hitter … went 1-7 (.143) with two RBI as a PH. ... Hit nine of his 12 home runs in the first half … recorded monthly highs in average (.270), hits (24), RBI (13), runs scored (11) and OPS (.847) over 28 games in May. ... Went 0-4 in his White Sox debut as the designated hitter on Opening Day at Kansas City … doubled off Danny Duffy on 4/8 at Kauffman Stadium for his first hit with the Sox. ... Connected on his first homer (solo shot) with Chicago on 4/11 vs. Minnesota … also homered on 4/12 vs. the Twins. ... Walked three times on 4/15 at Cleveland for the 10th time in his career … went 3-5 with four RBI, including a three-run home run off Anibal Sanchez, on 4/18 at Detroit. ... Reached base safely in 13 consecutive games from 5/1-16 … hit .324 (12-37) with two doubles, one home run, seven RBI and 13 walks during the stretch. ... Did not record an extra-base hit or homer over a span of 17 games from 4/19-5/9 … recorded a double on 5/10 vs. Cincinnati … snapped his 19-game homerless drought on 5/13 at Milwaukee with a solo shot in the first inning … the stretch was his longest without a home run since 8/18-9/9/13 (also 19). ... Recorded three straight multihit efforts from 5/26-28-1 and drove in at least one run in three straight from 5/27-28-2. ... Connected on a game-tying, solo home run with two outs in the bottom of the ninth inning on 6/5 vs. Detroit … Chicago went on to win, 4-3, in 11 innings … hit a game-tying home run in the sixth inning on 6/10 vs. Houston. ... Matched his career high with four hits on 7/31 vs. the Yankees … also made his first career pitching appearance in the ninth, working a perfect inning with a strikeout (Brendan Ryan). ... Became just the sixth player since at least 1914 to record four hits and pitch in relief in a game … the others are Shane Halter (2000), Johnny Gorsica (1941), Carl Mays (1929), Rosy Ryan (1925) and Casey Hageman (1914) … source: STATS. ... The last White Sox to pitch in a game and record four hits was Early Wynn on 6/4-1/59 at Baltimore. ... Did not homer in July, his first homerless month since May 2011 … connected on a solo homer in the ninth on 8/7 at Kansas City, snapping a career-long, 33-game homerless stretch. ... Forced extra innings with a RBI groundout in the ninth inning on 8/22 at Seattle … White Sox went on to win, 6-3. ... Went 2-4 with two RBI, including his final home run of the season, on 8/23 at Safeco Field. ... Appeared in just nine games from 9/1 through the end of the season due to tendinitis in his right knee. ... Recorded his final multihit game on 9/1 at Minnesota, and final RBI on 9/6 at Kansas City. For 8th time in last 9 years, reached the 20-homer plateau...posted highest walk rate (BB/8.19 PA) of career...hit 200th career HR, a 3-run shot, in 7-6 win, April 20 at NYM...hit solo homer in 15th inning to lift Washington to an 8-7 win, Aug. 17 at ATL, in longest game (5:29) in Nationals' history...batted .382 with 2 doubles, 4 homers, 12 RBI and 9 walks during career-high 16-game hit streak from May 2-19...homered twice in a 10-inning, 6-5 win on May 17 at SDP to become the first opposing player to hit 10 career homers at cavernous Petco Park, which opened in 2004. In fantastic 2-way campaign, led MLB first baggers with 33 homers and 69 extra-base hits and earned initial Silver Slugger and Gold Glove citations of career...joined 2B Robinson Cano (NYY), 3B Chase Headley (SDP) and OF Andrew McCutchen (PIT) as only players to win both a Silver Slugger and a Gold Glove in '12...tied for 6th (NYM's David Wright) in National League MVP voting (86 points)...with 33-homer, 100-RBI effort, joined Ryan zimmerman ('09) & Adam Dunn ('09-10) as only Nationals to reach 30-homer and 100-RBI plateaus in the same season...recorded career highs in hits (155), homers, RBI (tied, 100), go-ahead RBI (29) and game-winning RBI (15)...uncharacteristically thrived offensively (.329, 4 HR, 17 RBI) in April (had entered '12 with .208 career mark in March/April)...defensively, led all NL first baggers in fielding percentage (.995), games started (149) and innings (1323.1)...at 6.1, also paced NL first basemen (min. 1000 innings) in Ultimate zone Rating and 38 plays made out of zone (OOz)... pocketed 1,000th career hit in a 7-4 victory, May 16 vs. PIT...homered in a career-best 4 consecutive games from Sept. 3-6 vs. CHI. Played in only 43 games, none after May 21, after electing for season-ending surgery, performed by Nationals Medical Director Dr. Weiemi Douoguih, on June 16 to repair a torn labrum in left shoulder ... went on DL on May 23, retroactive to May 22, and didn't play thereafter ... snapped 3-3 deadlock with decisive two-run homer in the 11th inning of 5-3 win, April 7 at FLA ... May 6, lifted game-winning sac fly in 10th inning of a 3-2 victory at FLA ... when placed on DL (May 22), led club with 25 walks ... played flawless defense (no errors/412 total chances) at first base. In lone season with ARI, reached the 100-RBI plateau for the first time in finest offensive season to date...hit .261with 37 doubles and 25 home runs and exactly 100 RBI in 151 games...89 of the 100 RBI came as a first baggerand established a franchise record for the position...posted career-best 26 go-ahead RBI, and matched career markwith 10 game-winning RBI...in Edwin Jackson's no-hitter, provided game's lone run via 2nd-inning solo shot off JeffNiemann...posted career-high 6 RBI, Aug. 1 at NYM...on Aug. 11 at MIL, hit first of ARI's 4 consecutive home runs(Miguel Montero, Mark Reynolds and Stephen Drew followed suit), which matched a big league record...homered intoMcCovey Cove on Aug. 27 at SFG off Tim Lincecum. Over 3 stops with the Pittsburgh Pirates, Boston Red Sox and Atlanta Braves, collected a career-best 154 hits...Was one of four players in the last 10 years to hit at least one home run for three different teams and for at least one team in each league...Tied for 10th in the Majors with 11 home runs in the 7th inning or later...In the NL, his .333 home batting average ranked fifth...In 76 home games, hit .329 (93-for-283) with 26 doubles, 1 triple, 15 home runs and 44 RBI...Homered in back-to-back games on Sept. 13 @ Cardinals and Sept. 15 vs Mets...in the latter game hit 2 homers and set a career high with 4 runs scored...Had a season-high 8-game hitting streak from May 27-June 6, batting .407 (11-for-27) with 5 doubles, 2 home runs and 7 RBI...Had his third and fourth career stolen bases on June 8 @ Braves and June 24 vs. Indians...Traded on July 22 to the Pirates for minor leaguers INF Argenis Diaz and RHP Hunter Strickland...Traded on July 31 to the Braves with cash considerations for INF Casey Kotchman...In 57 games for the Braves, batted .325 (69-for-212) with 12 home runs and 40 RBIs...In 27 games in August, hit .365 (35-for-96) with 8 home runs. Made 129 appearances (128 starts) at first base in second full season with Pittsburgh...Ranked fifth inthe league with a .993 fielding percentage; made eight errors (six fielding/two throwing) in 1219 total chances...Ranked second onclub in home runs (Nate McLouth led with 26)...Hit .318 in his last 74 games (beginning on 6/14), going 85-for-267 with 19doubles, 19 home runs and 60 RBI...His .318 average from 6/14 thru the end of the season was the sixth-best mark in the N.L...Wasthe Opening Day starter at first base for second straight season...Had hits in each of his firsttwo at bats, but then went hitless in next 25 at bats...Snapped career-high 0-for-25 streakwith a home run off Chicago's Kevin Hart on 4/9...Went 4-for-32 in next 10 games afterhitting homer, but hit safely in six of his last seven games in April...Went deep in back-tobackgames on 5/4 and 5/6...Swiped lone base (second career) on 5/10 vs. Atlanta...Hada three-run double in the top of the 10th inning in club's 8-4 10-inning win on 5/13 at St.Louis...Hit safely in six straight games from 5/21-27 (11-for-26, .423), but then went hitlessin 18 straight at bats from 5/30 to 6/4...Served as designated hitter on 6/14 at Baltimoreand hit two-run homer off lefty George Sherrill in 9th inning to give Pirates 7-6 lead (Bucs lost the game 8-7 in the bottom of the9th)...Singled off Sherrill the following day, knocking in the game-winning run in the 10th inning...Had three hits, including thirdcareer triple, on 6/24 vs. New York (AL)...Went 7-for-13 in four-game stretch from 6/28 thru 7/1, raising average from .220 to.235...Reached base safely in all four plate appearances on 7/7 vs. Houston and tripled for third time in past 12 games...Homeredon 7/8 vs. Houston - his first at PNC Park since 5/12 (game one)...Went deep again on 7/12 vs. St. Louis; also left game in 9thinning with a right thumb contusion...Hit safely in season-high nine straight games from 7/11-23, going 13-for-34 (.382) with twohomers and six RBI...Homered twice on 7/25 vs. San Diego - his eighth career two-homer game...Homered again the following nightvs. San Diego...Batted .390 in July, the second-highest mark in the league behind New York's Fernando Tatis (.397) among playerswith at least 60 at bats...Left game on 7/27 was placed on the 15-day disabled list on 7/29 with a right intercostal strain...Begana rehab assignment with Class-A Hickory on 8/11 and homered that night vs. Greensboro...Went 6-for-10 in three games withCrawdads...Was recalled from rehab assignment and reinstated from the D.L. on 8/14...Went hitless in first game back on 8/14 vs.Cincinnati, but followed that with three hits vs. New York Mets on 8/15...Hit game-tying home run on 8/18 vs. New York (Pirateswon the game 5-2)...Was ejected by Bob Davidson for arguing strike call at Milwaukee on 8/25...Went hitless in 16 straight at batsfrom 8/26 to 9/3; snapped streak with two-hit performance at Cincinnati on 9/3...Went 11-for-25 (.440) with five multi-hit gamesin seven-game span from 9/3-10, raising average from .259 to .269...Doubled in five straight games from 9/5-10 and tallied eightdoubles in nine games from 9/5-14...Was caught stealing second base on 9/15 vs. Los Angeles (NL)...Homered twice for the ninthtime in his career, hit third career grand slam and had career-high tying five RBI against the Dodgers on 9/17...Left game on 9/21vs. Houston with tightness in left hamstring...Missed just one game and returned to action on 9/24 and homered at Milwaukee...Alsowent deep in final game of season on 9/28 at San Diego; a 446-foot blast which was the longest at the park in 2008 and is thefourth-longest in PETCO Park history...Batted .321 with a team-high seven home runs in September and ranked fourth among NationalLeague players with 26 RBI during the final month. Spent first season with Pittsburgh...Led club in RBI and games played and shared lead in doubles withFreddy Sanchez...Established career highs in at bats, hits and doubles...His 42 doubles tied with Colorado's Todd Helton for third amongNational League first basemen behind San Diego's Adrian Gonzalez (46) and Chicago's Derrek Lee (43)...His 21 home runs were themost by a Bucco first baseman since Kevin Young hit 25 in 1999...Made career-high 151 appearances (148 starts) at first base andcommitted six errors (five fielding/one throwing)...His .996 fielding percentage ranked second behind Helton's .999...Led league firstbasemen with 154 double plays...Batted .328 (96-for-293) in his last 77 games; the 12th-highest average in the N.L. beginning on6/28...Was the Opening Day starter and went 0-for-5 with four strikeouts in Houston on 4/2...Went hitless in his first eight at batsbefore going 1-for-4 on 4/4...Struck out 13 times in his first 24 at bats thru 4/8...Hit first home run as a member of the Pirateson 4/7 at Cincinnati and went 2-for-4 in the contest - his only multi-hit game in 27 games thru 5/4...Had three RBI while takingAdam Wainwright deep at St. Louis on 4/17...Committed first error on 4/16 at St. Louis; snapping his 49-game errorless streak datingback to 8/14/06...Was batting .191 following the action on 5/25; hit .303 (123-for-406) from that point on...Batted .459 (17-for-37) with six doubles, five home runs and 12 RBI while hitting safely in nine straight games from 6/27 thru 7/5...Homered twicefor seventh career time on 7/5 vs. Milwaukee...Batted .321 (25-for-78) during the month of July; ranked third among N.L. first basemenwith a .526 slugging percentage and fourth in batting average for the month...Recorded first career stolen base on 8/4 vs.Cincinnati...Tied career high with four hits on 8/8 at Arizona...Became first Pittsburgh player and 15th opposing player to reachMcCovey Cove with his blast off Tim Lincecum at AT&T Park on 8/11...Produced second nine-game hitting streak from 8/13 (gametwo) thru 8/21 (17-for-36, .473)...Had season-high four RBI on 8/24 at Houston...Went a season-high 47 games without an errorfrom 7/14 thru 9/7 (416 chances)...Tied season high with third nine-game hitting streak from 9/4-14 (14-for-36, .389)...Homeredonce in final month (9/5 at St. Louis) and tallied just eight RBI in 24 games in September...Was the recipient of the Chuck Tanneraward, presented by the Pittsburgh chapter of the BBWAA to recognize the Pirates player whose professionalism, cooperation andavailability best assist the writers in carrying out their daily responsibilities. Spent second straight full season with Atlanta and established career highs in every offensive category. ...Ranked second on the club in home runs (Andruw Jones led with 41) and fourth in RBI...Tied for eighth among all National League players with 57 RBI on the road...Became just the third Braves first baseman to hit 30+ homers in a season (also Fred McGriff with 34 in 1994 and Andres?Galarraga with 44 in 1998)...Hit 21 of his 32 home runs on the road...Batted .323 (74-for-229) with 19 homers, 49 runs scored and 48 RBI in 66 games after the All-Star?break...Tied for sixth among N.L. players with 19 home runs after the break...Made 142 appearances (130 starts) at first base and committed just five errors...Ranked fourth among National League first basemen with a .996 fielding percentage...Hit a three-run homer in the 1st inning on Opening Day at Los Angeles (NL)...Went 3-for-5 and established a career high with five RBI on 5/19 at Arizona; connected off Miguel Batista for second career grand slam in 1st inning...Smacked two home runs on 5/28 at Wrigley Field...Hit first of seven home runs off a left-handed pitcher on 6/17 at Yankee Stadium (Ron Villone)...Had two home runs and tied career high with five RBI in 15-12, 11-inning victory at San Diego on 7/14...Went 4-for-4 with a homer, three RBI, three runs and a double on 7/17 at St. Louis...Went 4-for-4 with three doubles and a triple on 8/30 vs. San Francisco, becoming the first Atlanta Brave (since 1966) to go 4-for-4 with all four hits going for extra bases...His fourth and final two-homer game - and third since the All-Star break - came at Pittsburgh on 8/1...Produced career-high 11-game hitting streak from 8/21 thru 9/2; batted .525 (21-for-40) with three home runs, 12 runs and 14 RBI during the streak. Spent entire season with Atlanta...Made 125 appearances (117 starts) at first base...Hit 19 of his 20 home runs off right-handed pitchers...Connected off Jeff Weaver at Dodger Stadium for first career grand slam on 5/13...Also homered in next game on 5/15 at Los Angeles...Hit safely in season-high seven straight games from 6/19-27 (8-for-23, .348)...Had second career multi-homer game on 7/4 vs. Chicago (NL)...Hit lone homer off a lefthander on 7/4 (Will Ohman)...Matched career high with four hits on 8/19 vs. San Diego...Snapped career-worst 0-for-22 slump with a 6th-inning single on 8/27 vs. Washington...Produced fourth career four-hit game on 9/17 at New York (NL), which included a two-run homer in the 1st inning...Had four RBI on 9/21 vs. Philadelphia...Batted just .105 (6-for-57) with no homers and three RBI in 19 games from 8/20 to 9/13, but rebounded to hit .385 (20-for-52) with five home runs and 10 RBI in final 17 games...Homered in back-to-back games on 9/26 and 9/27 (both in Colorado)...Went 4-for-8 in three games during the N.L. Division Series against Houston and led Braves with six RBI...Went 1-for-1 with a double and two RBI in Game 2...Hit his first career postseason grand slam in the 3rd inning of Game 4 off Brandon Backe, becoming the first Braves player to hit a postseason grand slam since Andres Galarraga on 10/11/98 at San Diego in Game 4 of the N.L.C.S. Spent rookie campaign with Atlanta...Missed 31 games with a separated left shoulder...Was named to the Topps Rookie All-Star Team...Ranked third among N.L. ?rookies in slugging percentage (.488) and fifth in doubles...Hit .302 with 10 home runs after the All-Star break, which included a .348 (23-for-66) mark in September...Hit 12 of his 13 home runs off right-handed pitchers...Made major league debut on 4/7 vs. New York (NL) and collected his first two hits in the Braves' 11-run 4th inning...Became first National League rookie and just the fourth in major league history to collect his first two hits in the same inning during his major league debut...Singled off Steve Trachsel for first big-league hit and followed that up with a double off Grant Roberts...Connected off Aaron Harang for first major league home run on 4/21 at Cincinnati...Had first career four-hit game and tied a major league record with four doubles on 5/15 at Milwaukee (was the 44th time it had been done and the 22nd in the N.L. )...Separated his left shoulder on 5/28 at Philadelphia in a collision at home plate with catcher Mike Lieberthal...Was activated from the disabled list on 7/2 following a four-game injury rehabilitation stint at Richmond (AAA)...Recorded first career multi-homer game on 8/11 vs. Milwaukee...Tallied game-winning RBI single off Los Angeles' Eric Gagne in the 9th inning on 8/19...Banged out six doubles during season-high six-game hitting streak from 8/26 to 9/4 (11-for-22, .500)...Hit first career triple in the 7th inning on 9/17 at Florida...Homered in consecutive games for the first time on 9/28 and 9/29 vs. New York (NL)...Connected off New York's Tom Glavine for first career home run off a left-handed pitcher on 9/28...Hit first career home run as a pinch hitter on 10/3 at Chicago off Ryan Dempster...Batted .345 (30-for-87) with 11 doubles, five homers and 17 RBI in final 28 games, dating back to 8/26...Hit .235 (4-for-17) in five games against Houston in the N.L. Division Series...Doubled in the tying run in the 8th inning to send Game 2 to extra innings (a 4-2 Braves win)...His 6th-inning three-run homer off Chad Qualls was the game-winner in Game 4 at Houston (a 6-5 Braves win). Was named the sixth-best prospect in the Braves organization by Baseball America and as one of the Braves top prospects by Sports Weekly prior to the season...Split season between Greenville (Braves' AA) and Richmond (Braves' AAA) and batted .290 with 20 home runs and 72 RBI in 133 games with the two clubs...Began season at Double-A level and collected a hit in 12 consecutive games from 4/3-17...Hit two home runs on 5/6 at Tennessee...Was promoted to Triple-A on 6/12...Ranked fourth in the Southern League with 12 home runs at time of promotion...Recorded first Triple-A hit, a two-run home run, off Buffalo's Jeremy Guthrie on 6/13 in 6-5 Richmond victory...Selected to participate in Major League Baseball's All-Star Futures Game and went 1-for-2 in the contest...Went 4-for-4 in win over Charlotte on 7/21...Had 11-game hitting streak from 7/31 to 8/13...Homered in consecutive games on 8/22 and 8/23...Hit .337 with three homers and 12 RBI during the month of August...Was named the International League's best defensive first baseman by Baseball America. Split season between Myrtle Beach (Braves A) and Greenville...Hit .317 with 13 homers and 72 RBI in 114 combined games with the two clubs...Compiled a 16-game hitting streak while playing with Myrtle Beach from 4/13-30...Collected 11 hits in 28 at bats (.393) over six games from 5/30 to 6/5 to win the Appalachian League Player-of-the-Week Award...Reached base safely via hit or walk in 20 straight games from 5/22 thru 6/11...Went 5-for-5 with a homer and a professional-high seven RBI in 15-4 win at Frederick on 7/2...Was promoted to Greenville on 7/9...Reached base via hit or walk in 31 consecutive games from 7/20 thru 8/22, the longest such streak in the Southern League in '02...Went 4-for-4 in final game on 8/29 at Orlando...Was named the 25th-best prospect in the Braves organization by Baseball America following the season. Spent entire season with Myrtle Beach...Smacked a game-winning grand slam in bottom of 9th inning to beat Winston-Salem, 5-2, on 4/7...Hit safely in 14 straight games from 4/18 thru 5/3...Also posted an 11-game hitting streak from 7/5-17. Began professional career with Danville (Braves' Advanced Rookie) after being selected by Atlanta in the 29th round of the June draft. March 15, 2016 DH Adam LaRoche retired. 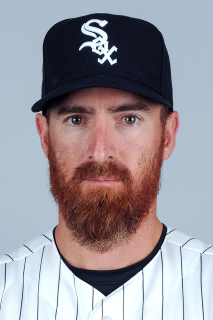 November 25, 2014 Chicago White Sox signed free agent DH Adam LaRoche. October 31, 2014 1B Adam LaRoche elected free agency. May 25, 2014 Washington Nationals activated 1B Adam LaRoche from the 15-day disabled list. May 23, 2014 Washington Nationals sent 1B Adam LaRoche on a rehab assignment to Harrisburg Senators. May 22, 2014 Washington Nationals sent 1B Adam LaRoche on a rehab assignment to Potomac Nationals. May 11, 2014 Washington Nationals placed 1B Adam LaRoche on the 15-day disabled list retroactive to May 10, 2014. Strained right quad. January 8, 2013 Washington Nationals signed free agent 1B Adam LaRoche. November 3, 2012 1B Adam LaRoche elected free agency. October 31, 2011 Washington Nationals activated 1B Adam LaRoche from the 60-day disabled list. September 3, 2011 Washington Nationals transferred 1B Adam LaRoche from the 15-day disabled list to the 60-day disabled list. January 7, 2011 Washington Nationals signed free agent 1B Adam LaRoche. November 7, 2010 1B Adam LaRoche elected free agency. January 15, 2010 Arizona Diamondbacks signed free agent 1B Adam LaRoche. November 5, 2009 1B Adam LaRoche elected free agency. August 1, 2009 1B Adam LaRoche assigned to Atlanta Braves. July 31, 2009 Atlanta Braves traded 1B Casey Kotchman to Boston Red Sox for 1B Adam LaRoche.